Have you ever thought about how much food you and your family throw away on a daily basis? Everything from spoiled produce to forgotten leftovers, as much as 95% of the food you throw away eventually ends up in a landfill. Each year, Americans throw away roughly 40 million tons of wasted food – does that number shock you? If so, keep reading to learn some simple tips for reducing food waste. Why is it Important to Reduce Waste? There are many good reasons you should think about taking steps to reduce your family’s food waste. 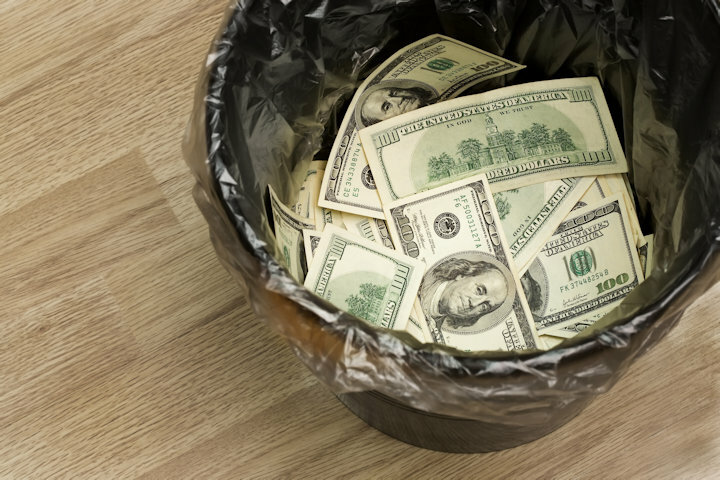 For one thing, any food that you don’t eat is money you are throwing down the drain. Groceries are expensive and while a little bit of waste might not seem like much, it adds up over the course of the year! On a larger scale, reducing your food waste will help to protect the environment. The less waste that ends up in landfills, the fewer methane omissions and the smaller your carbon footprint. Taking steps to reduce your food waste will also help to conserve both energy and resources. At the very least, giving away unwanted food can help you support your community. Make a stew. If you have some vegetables lying around that you aren’t going to use before they go bad, throw them together in a stew. Trade lunches. Go back to your grade school days and find a friend or coworker to swap leftovers with so you both have a tasty lunch. Try juicing. If you find that you have a bunch of fruit or vegetable odds and ends at the close of the week, throw them together in a juicer for a healthy snack. Plan your meals. Planning your meals week by week will not only reduce food waste, but it will save you time and money as well. Be smart about storage. Storing your food properly is the best way to reduce food waste – choose airtight containers and make sure they are properly sealed. Clean out your pantry. We all have stacks of canned goods we know we’ll never use, so why not go through your pantry and find foods to donate before they go bad. Freeze portioned leftovers. If you make a large meal and you don’t think you’ll finish the leftovers, package them in single serve portions and freeze them for a quick and easy meal. Make a list. When you go grocery shopping, make a detailed list so you don’t buy any unneeded extras – you should also check your fridge and pantry before you go so you don’t double up. You don’t necessarily have to become obsessed about reducing and recycling, but becoming a little more conscious about the choices you make regarding the resources you have, the better. Something as simple as changing the way you store your food to keep it fresher longer can greatly reduce your waste so take the advice given above to heart and start doing your part!